We are Multi Vendor Products Services Digital Marketplaces Inc.
Marketplaces Inc. is a revolutionary technology platform that enables business owners to set up and manage their own online multi-vendor marketplaces. Our marketplace platform supports almost any type of business that aims to bring users together in one place to buy, sell, or trade almost any type of product or service. Secure and scalable, our solution includes the technology and support services to give both merchants and their customers a new, more rewarding way to trade and interact online. Whether you already have a website or want to create a new one, we can help you launch your marketplace quickly and easily. We'll plan, build, and host your marketplace for you - your job is simply to manage your marketplace once it's up and running. Sign-up today and you can start growing you marketplace vendors and buyers straight away. No expensive development costs and development times. Our marketplace platform is designed to get you into business today. We'll customise your marketplace to look and feel like your brand, using your existing logo and other brand identity elements. 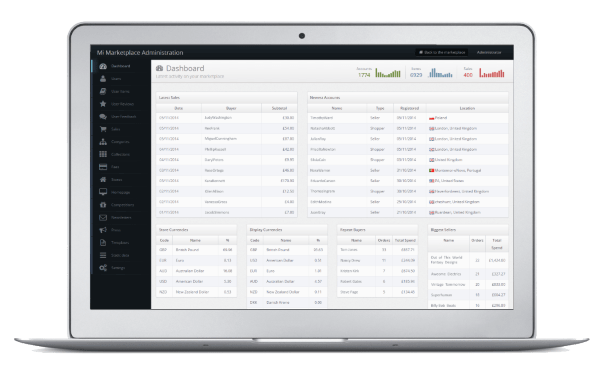 Manage your marketplace's users, postings, nomenclature, categories, and sales fees - and run site analytics to see how your marketplace is performing. 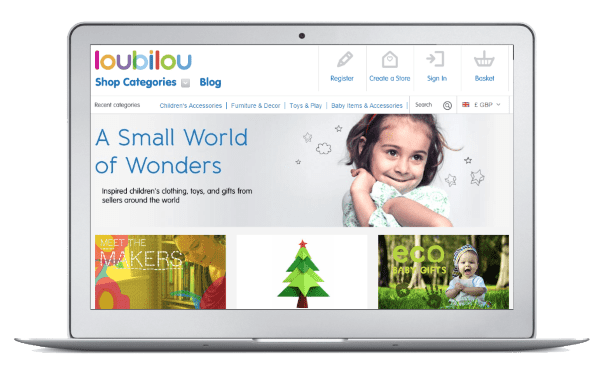 Your Marketplace customers can access the same content on mobile and tablet devices so vendors and buyers can trade "on the go". Choose from a range of options for monetisation, including advertising (e.g., banner ads), insertion fees, subscription costs, and sales commissions. Through links to Facebook, Twitter, and other social media that are included in our marketplace platform, you can learn more about existing and potential customers. Find out what they're saying about you, and generate buzz for your marketplace and your vendors. All marketplace pages generated have been developed so that they are search engine optimised and friendly to major search engines, such as Google and Bing. A marketplace platform so advanced you can start your multi-vendor online marketplace today. See our full list of features now. Our marketplace platform is fully automated. Vendors can open their own stores and start uploading their products straight away. As soon as a product has been created by a seller it is available for purchase. 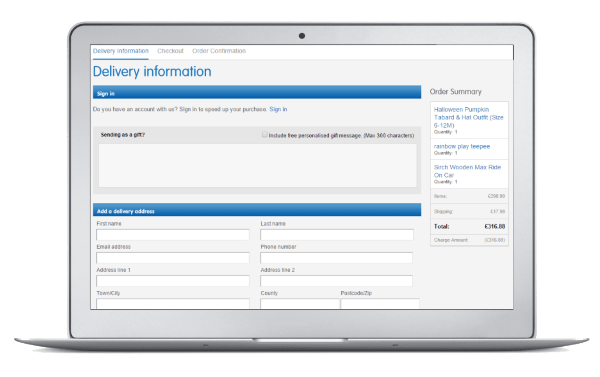 Our customisable automated emails keep vendors informed of their stock levels and buyers of their order status. Why let technology worries get in the way of running your business? Spend your valuable time growing your business and customer engagement via social media and advertising whilst we worry about the technology for you. Our advanced full-text, facet based search allows shoppers on your marketplace to easily navigate through all the items to find exactly what they are looking for. 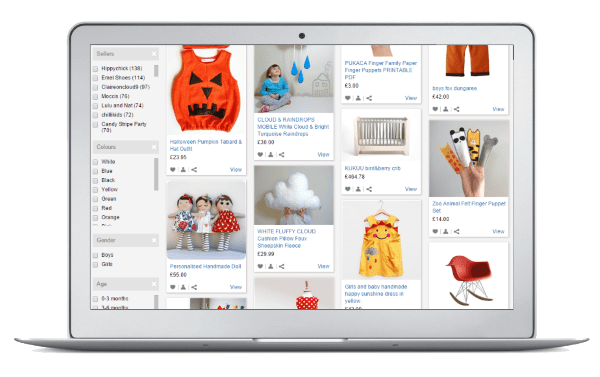 You can customise the searchable filter options quickly and easily to tailor your marketplace requirements. Your vendors will choose the search tags to apply to their products upon creation so your search index is automated, meaning less administration work for you. We have worked hard to make our checkout process one of the best checkout experiences on the web. We've built in features to help stop shoppers dropping out of the checkout process helping avoid dropped baskets and increasing sales. Fully integrated with PayPal (and soon Stripe), our payment process automatically distributes funds to your vendors after subtracting your marketplace commission. The one stop place for configuring your marketplace. Creating categories; changing marketplace settings; approving vendors and products; viewing sales reports and statistics; creating newsletters; and running competitions. Everything you need accessible anywhere. Review all of your marketplace orders and keep track of your seller's unfulfilled sales. We automatically remind your vendors of overdue shipments so you don't have to. Whether you want to sell physical or digital item, services or solutions. Our marketplace platform has you covered. The most comprehensive selection of features already built into the marketplace platform and always growing. Not only do we provide you with the best marketplace platform available, we provide your hosting requirements too. We are looking for talented people in Sales & Marketing as well as Development. If you like what we do and would like to know more then please contact us. 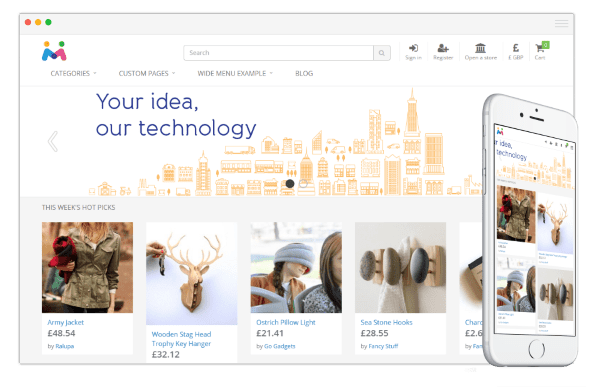 Marketplaces Inc. is a revolutionary technology platform that enables business owners to set up and manage their own online marketplaces. Our platform supports almost any type of business that aims to bring users together in one place to buy, sell, or trade almost any type of product or service. Register in the United Kingdom.